Day 9 of filming on Shadowhunters brought us the new casting of David Castro as Raphael Santiago, as well as some new photos from the set. Showrunner Ed Decter shared this photo of Dominic Sherwood and Isaiah Mustafa prepping for a night shoot, which involves Jace and Luke. 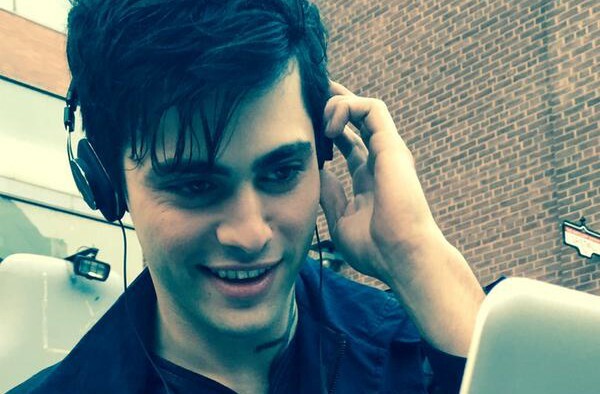 Executive producer and director McG also tweeted this photo of Matthew Daddario looking absolutely adorable as he watched some dailies from filming. Shadowhunters continues filming through October in Toronto and will premiere in early 2016 on ABC Family. Dominic = Jace ❤️ Can I just pull 2016 closer? Awww cute! I love him! This casting is just golden!